Evidence before the court in the Vybz Kartel murder trial has shown that the SD card from the phone with a message about chopping up ‘Lizard’ was altered on September 30, hours after it was seized in the murder investigation. However Police Detective Patrick Linton said that he never altered any information on the SD card. He denied adding a section to the tape about chopping up Lizard “fine, fine”. 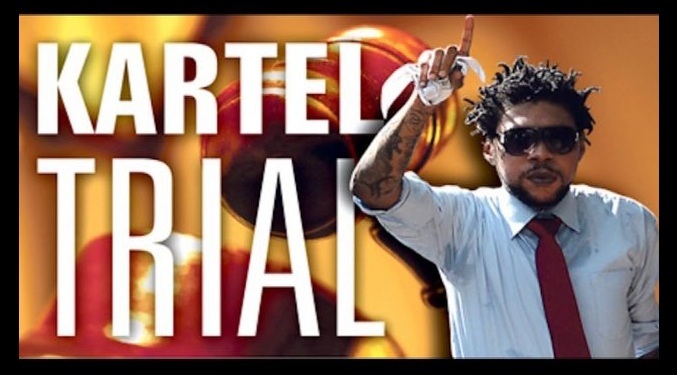 Linton previously testified that persons not authorised by him had used a phone seized in the Vybz Kartel murder case. He said that he didn’t authorise anyone to use the phone on October 6 and 9th 2011. But under further cross examination Tuesday by attorney-at-law Pierre Rogers, who asked if unauthorised persons used the phone, Linton said that he couldn’t speak to unauthorised persons using the phone. Kartel, and four co-accused are on trial for the August 2011 murder of Clive ‘Lizard’ Williams.